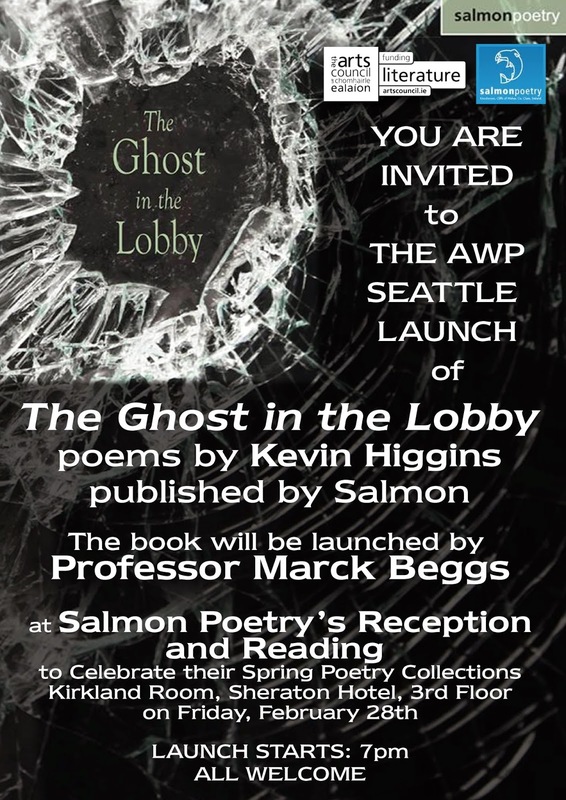 My fourth poetry collection, The Ghost in The Lobby, published by Salmon, will be launched by Professor Marck Beggs at the big Salmon Poetry event at this year's AWP Conference in Seattle at the end of the month. 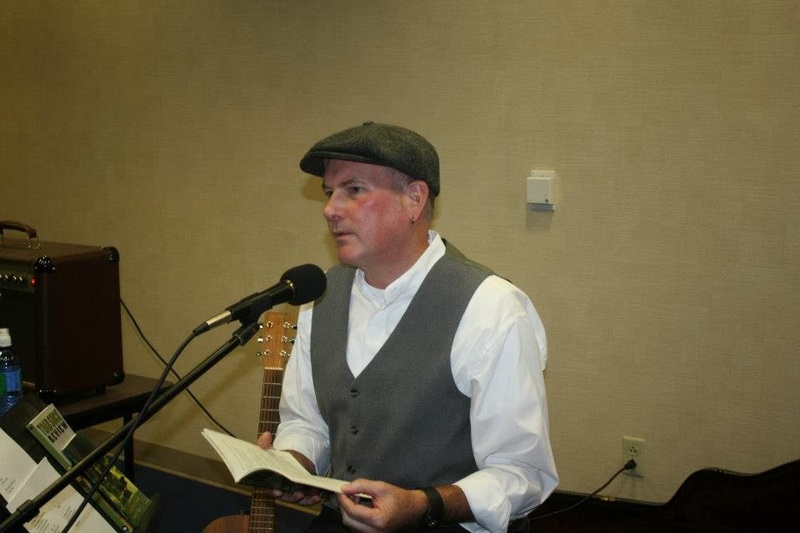 The launch takes place at the big Salmon Poetry event on Friday, February 28th, 7pm at the conference, which is the biggest annual literary gathering in North America. 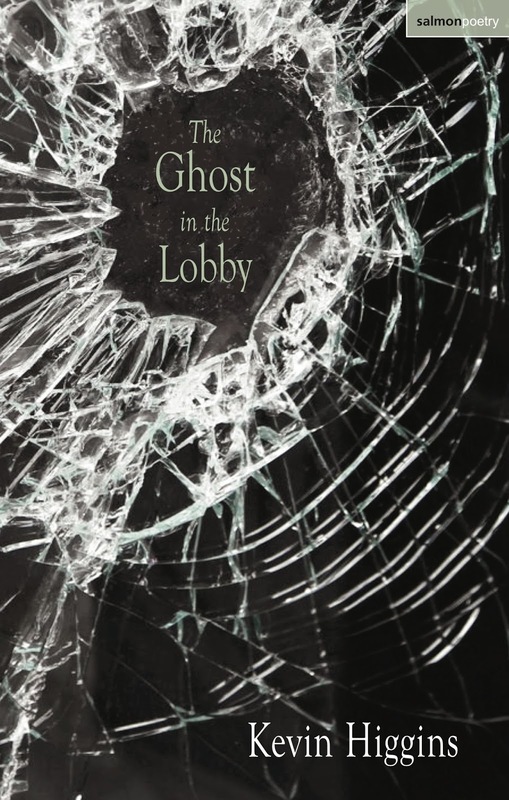 Our Spring Poetry Collections: Featuring Raina Leone, Cameron Conaway, Stephen Powers, Philip Fried, Jean Kavanagh, Kelly Moffit, Lex Runciman, John Menaghan, John Fitzgerald, Kevin Higgins, Jo Slade, Ed Madden, Joseph P. Woods, Jo Pitkin, Mary Pinard, Dan Moran, Robert McDowell, Alan Jude Moore, Jacqueline Kolosov-Wenthe, and Laura-Grey Street."